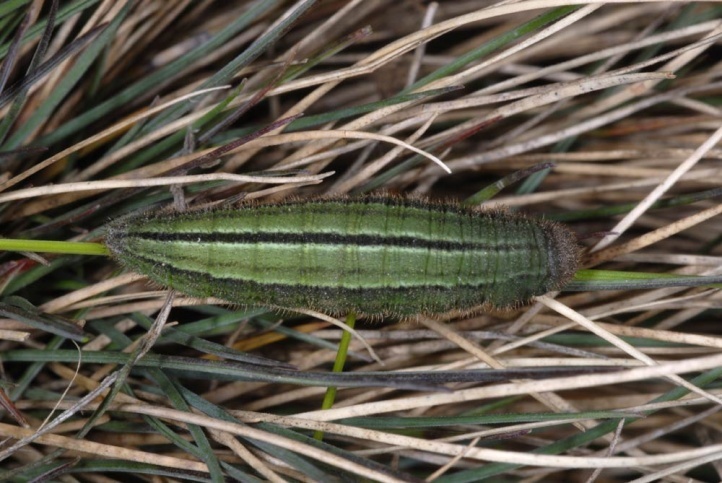 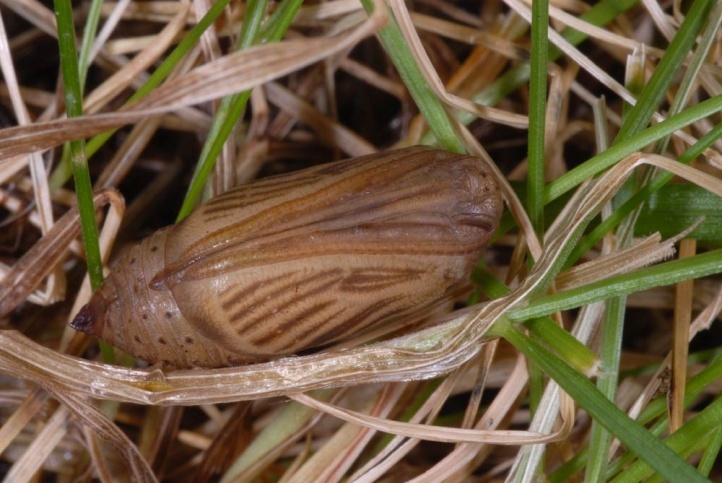 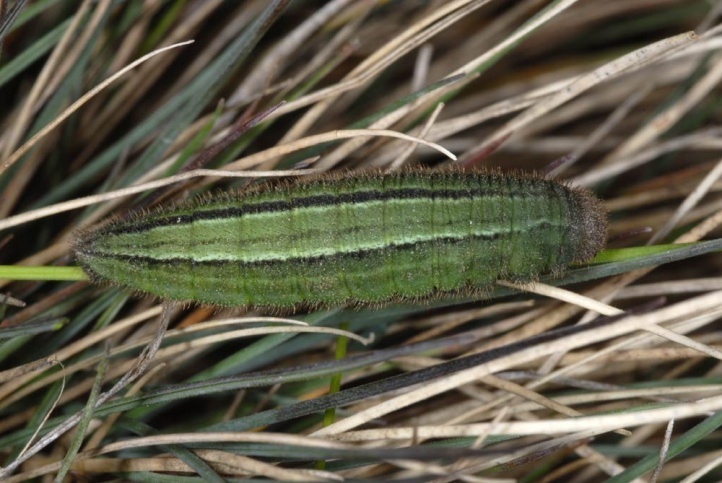 The larvae feed on grasses with lower production, especially Festuca species such as Festuca ovina, Festuca varia, F. heterophyllea or F. valesiaca. 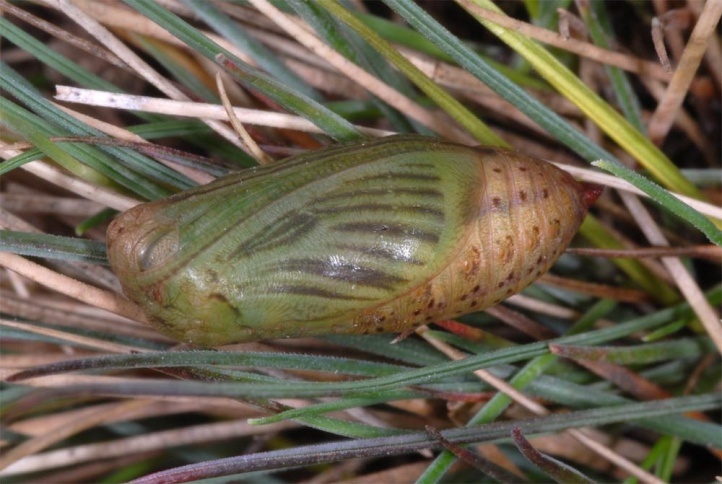 Erebia triaria inhabits rocky grasslands, steep pastures with rocks and open soil an other dry mountain slopes of the Southern Alps from about 500m above sea level to 2200m above sea level. 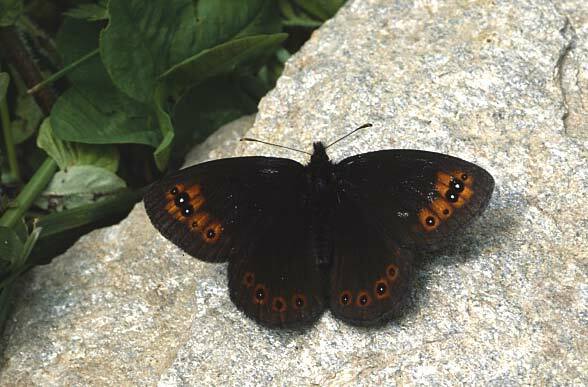 Erebia triaria flies in a single generation between late April and early or mid-July - depending on the altitude. 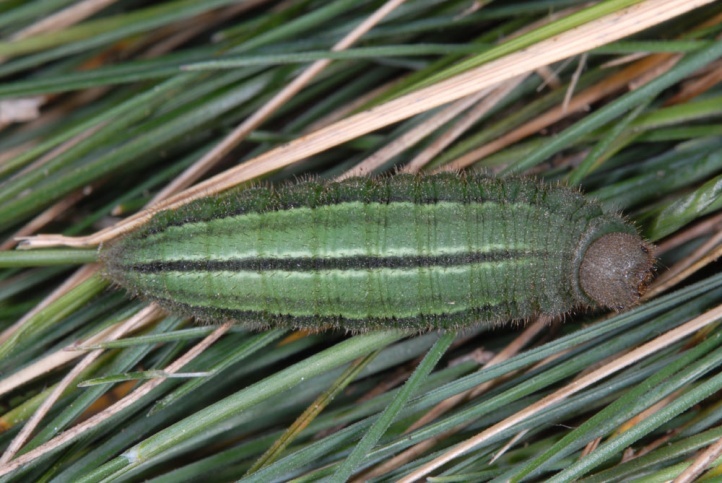 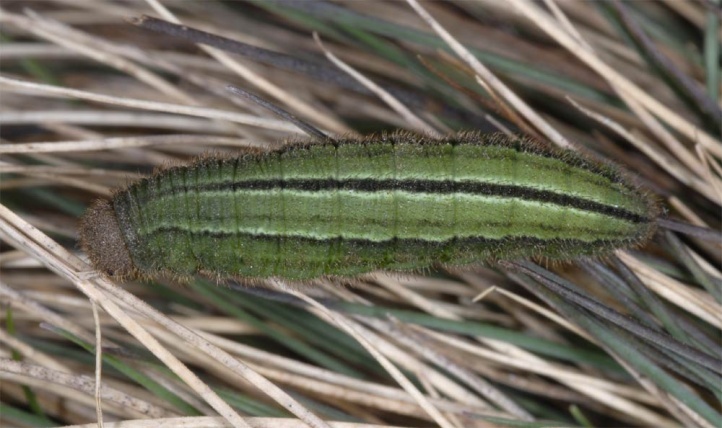 The caterpillar overwinters quite large (usually in last instar). 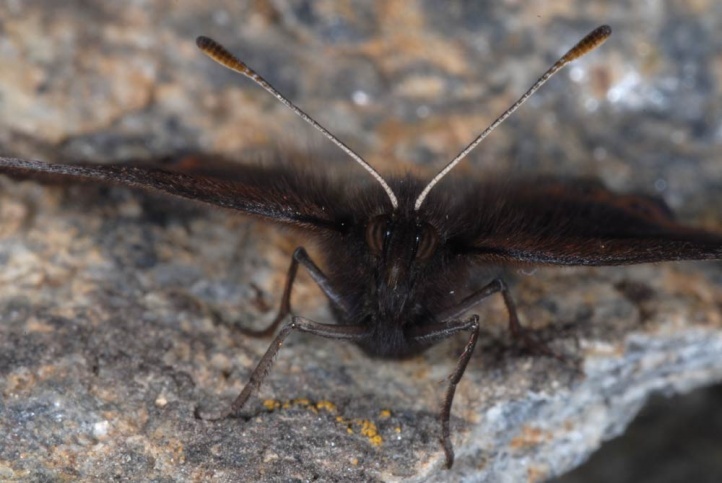 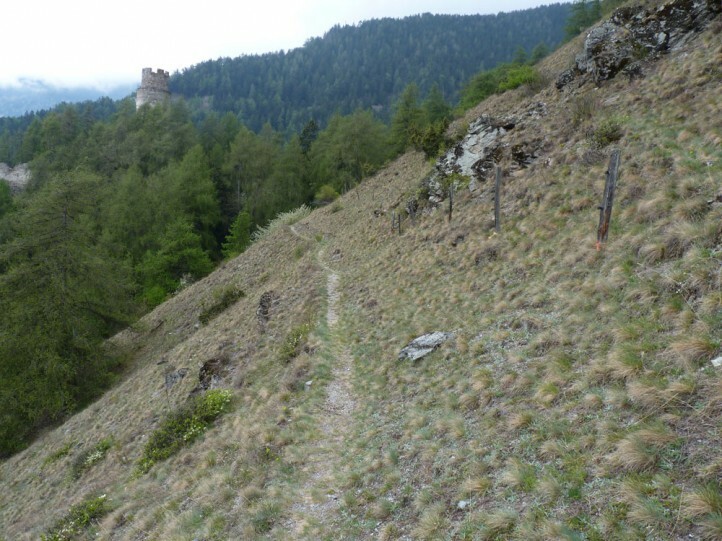 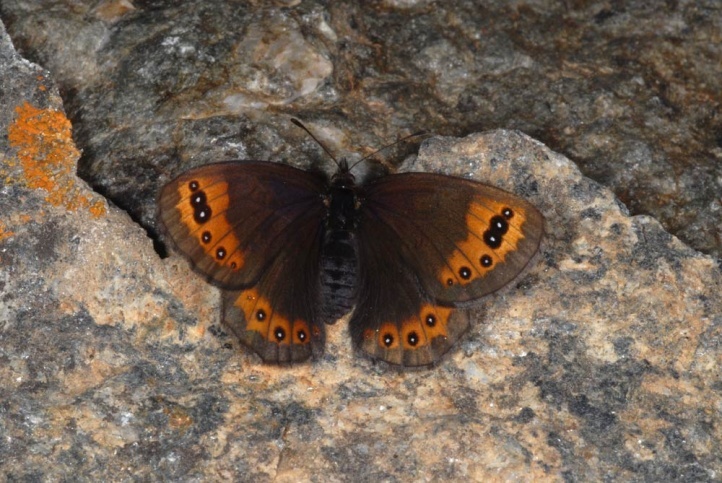 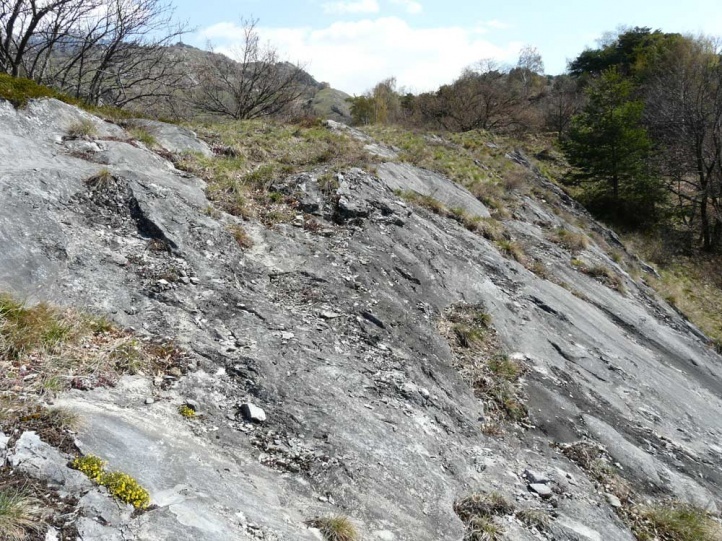 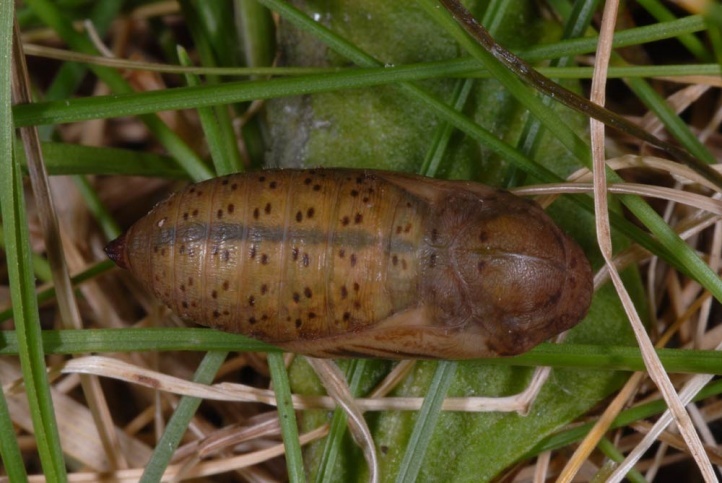 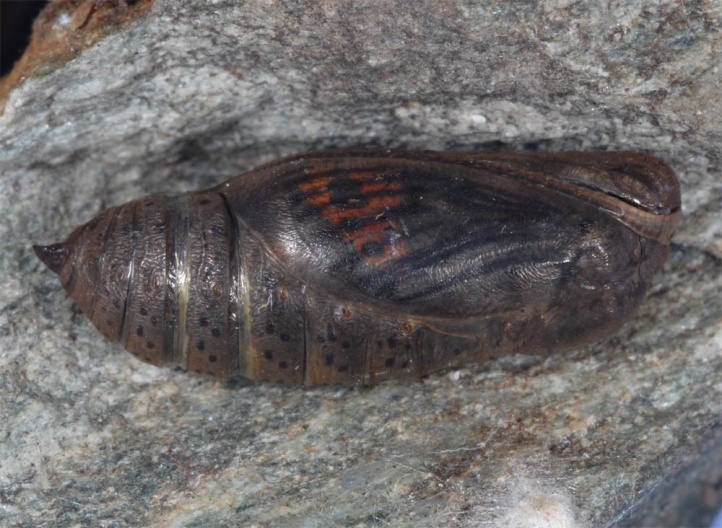 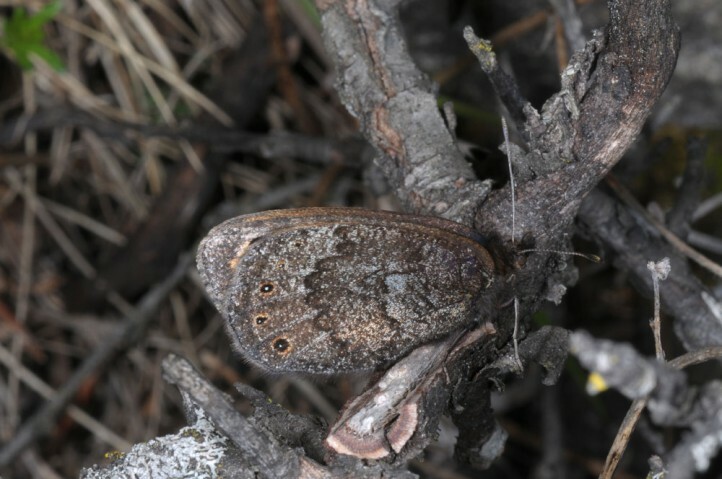 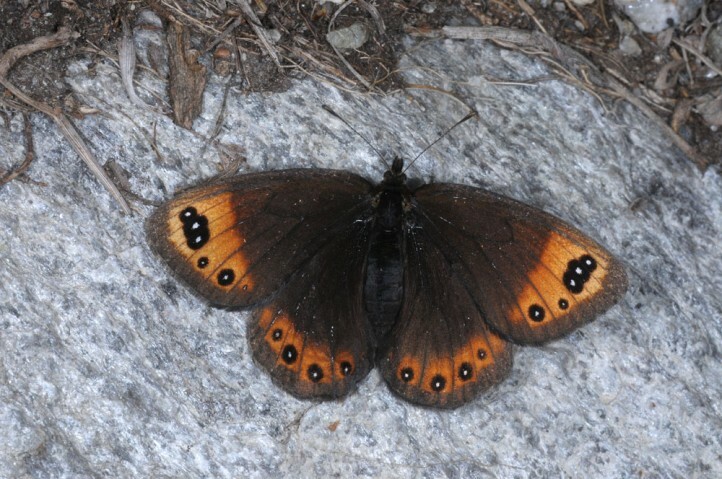 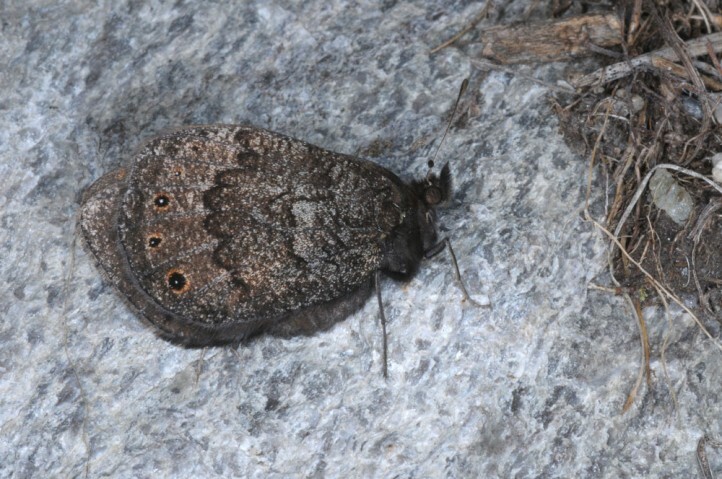 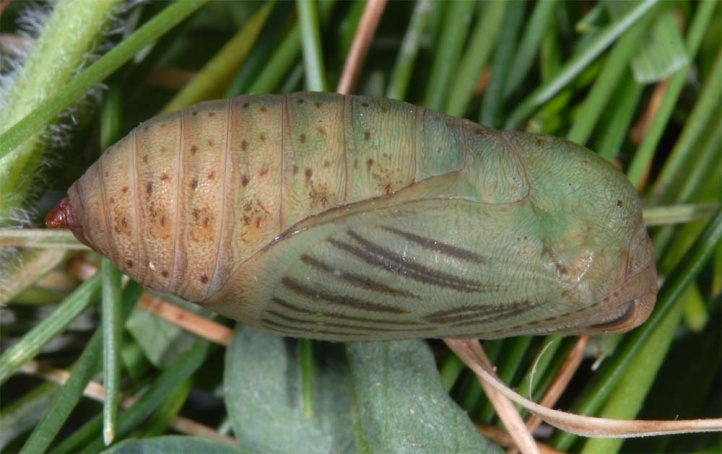 In Valais, I found mature larvae on 12/04/2008 at approximately 1500m asl and at about 1000m asl in mid-April 2009. 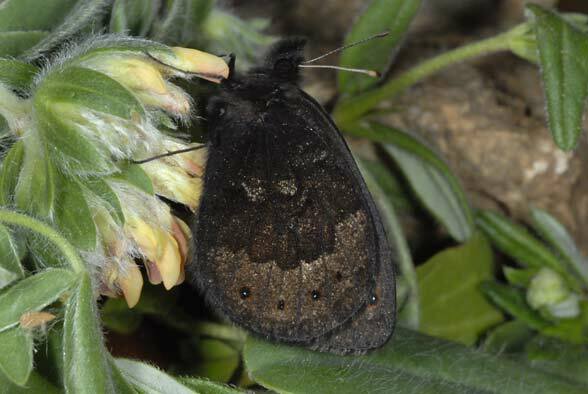 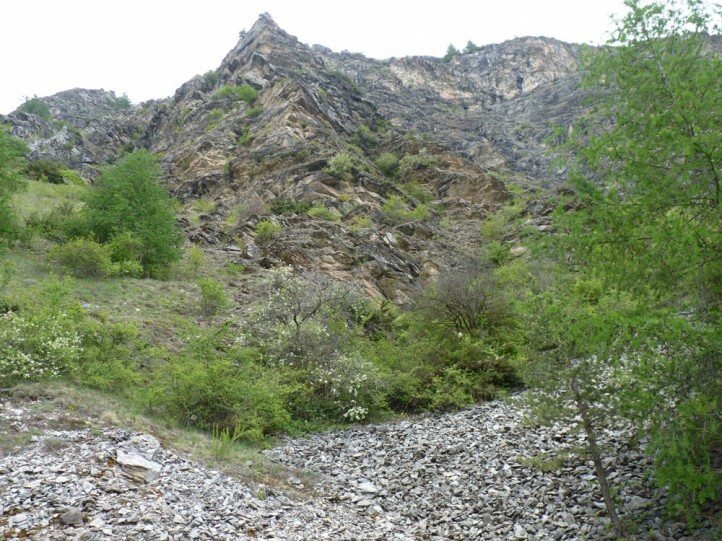 Erebia triaria is at high risk at low altitudes due to the continuous expansion of the humans (expansion of settlements, vineyards, other intensification), but also by the abandonment of traditional farming systems (extensive grazing). 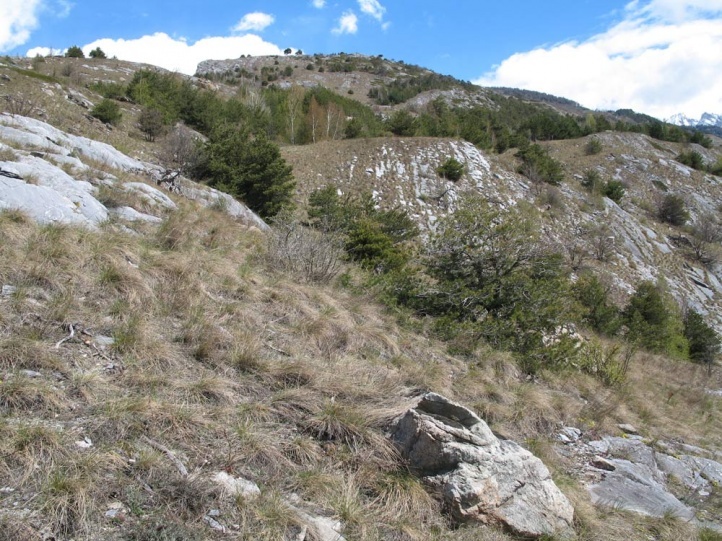 The total distribution covers the mountains of Northern Spain, the Pyrenees, the southern part of the Alps (from about the Swiss Valais and South Tyrol southwards). 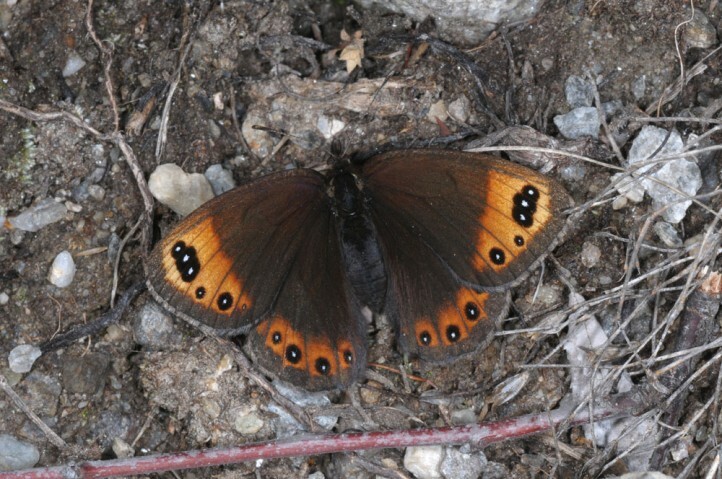 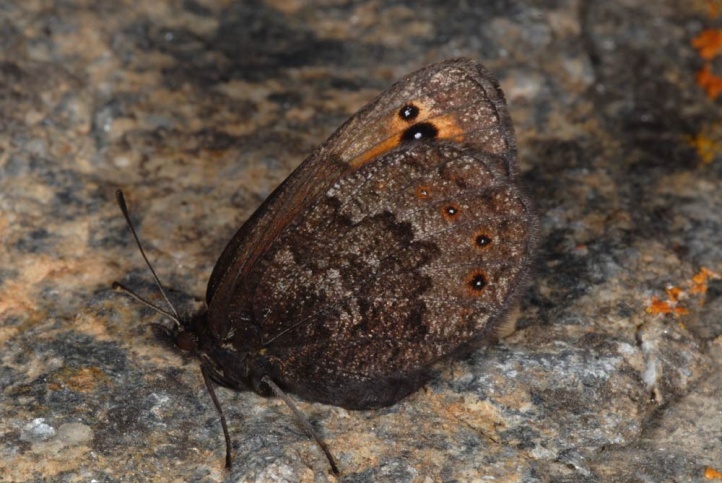 Erebia triaria also occurs very local in the Balkans (e.g. 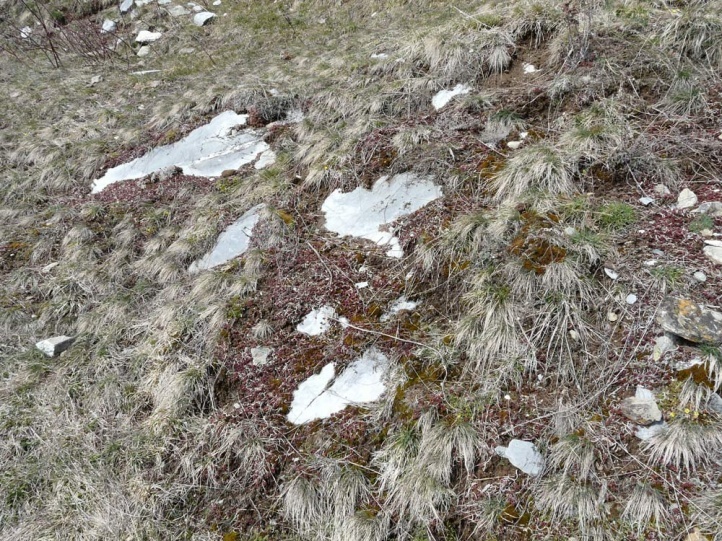 Bosnia).